Peter Taylor-Gooby is Research Professor of Social Policy at the University of Kent’s School of Social Policy, Sociology and Social Research. 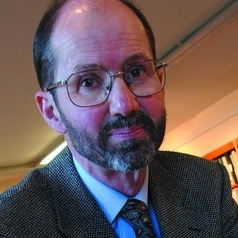 He chaired the British Academy New Paradigms in Public Policy Programme (2010/2011) and is Chair of the REF Social Work and Social Policy and Administration panel 2011-15, a Fellow of the British Academy, a Founding Academician at the Academy of Social Sciences and, previously, a Fellow of the Royal Society of Arts and President of the British Association for the Advancement of Science, Sociology and Social Policy Section. He participated in the Prime Minister’s No 10 ‘progressive consensus’ Round Table and advised the Prime Minister’s Strategy Unit between 2009 and 2010. He has also written 23 books, including The Double Crisis of the Welfare State and What We Can Do About It, a new book published by Palgrave.